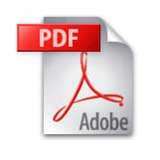 I downloaded this product and looked through it quickly with Adobe Reader v9. It is clean and a good copy. Some scanned pages are not perfectly square, but that is a minor complaint. The document schematics and board diagrams are easy to read, of good contrast. The whole file downloaded quickly. This is a good service! Sony charges about $100 for the printed version of the same manual. It is still available through their print-on-demand pro parts system, but why would you do that? I downloaded this product and looked through it quickly with .. Copyright 2005 User-Manuals.com.All Rights Reserved.